With TwineSocial, it’s simple to author new content into your campaign. This feature is great for featuring content that may not existing in your social channels yet, or for giving prominent attention to your featured content. 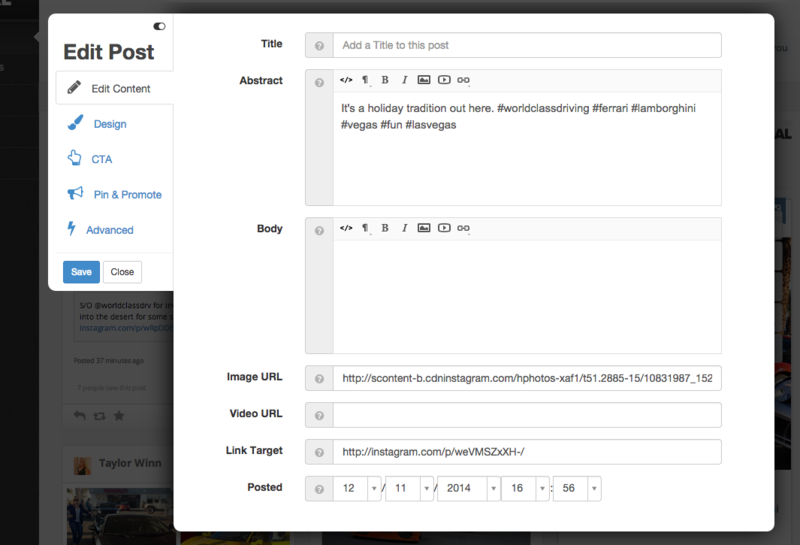 We’ve made this new feature super-easy to find in the TwineSocial toolbar. We’ll retrieve the page, and pull in the relevant photo, video, headline and body copy. You’re live!